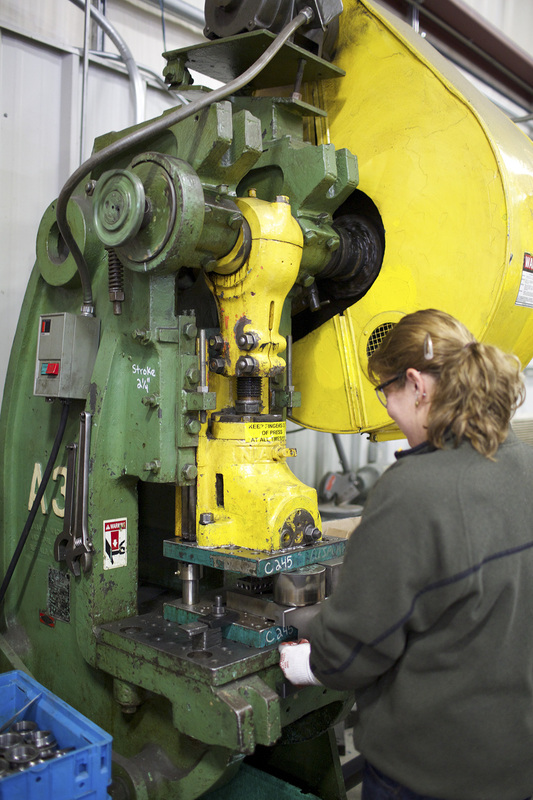 Ultratech Tool & Design Inc. (Fond du Lac, Wisconsin) began as a tool shop in 1990 (happy 25th anniversary! ), serving the small engine manufacturing sector, Over the course of the past seven to ten years, the company has been supplying stampings from its 32-ton to 600-ton presses, with products ranging from simple washers to complex automotive and aerospace components. As President Bill Melang notes, “We took the tooling expertise we had from the start and built the business around it. This approach gave us the ability to see our customers’ challenges from the inside and help them find better solutions for their own production.” Major manufacturers in industries such as automotive, consumer goods, electrical products and aerospace populate the ranks of Ultratech’s North American customer base. All jobs begin here with the tool design. Ultratech uses Solidworks and Logopress software to produce its designs, then interacts with its customers in that fluid exchange of ideas, engineering suggestions and production fine tuning that creates the finished product. 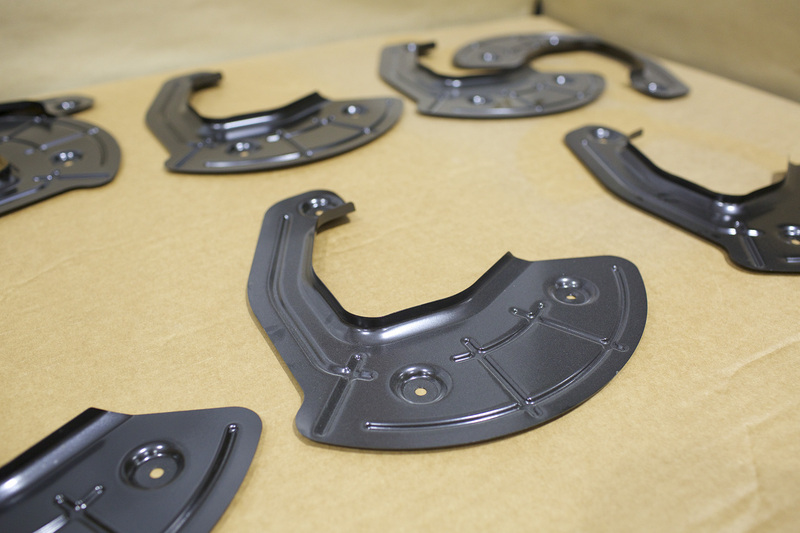 That product is made entirely in-house at Ultratech on the latest CNC machines and CMM test equipment. Melang comments, “We try our best to stay ahead of the competition with our machine tools and design protocols, using the best technology available in the market.” Sensor selection on the dies, for example, is performed in the shop’s sensor lab, where simulation of the die-in-press scenario translates to a tool that is less likely to crash, plus Ultratech produces dies with complex in-die tapping and nut/stud insertion capabilities, as well as lamination dies. 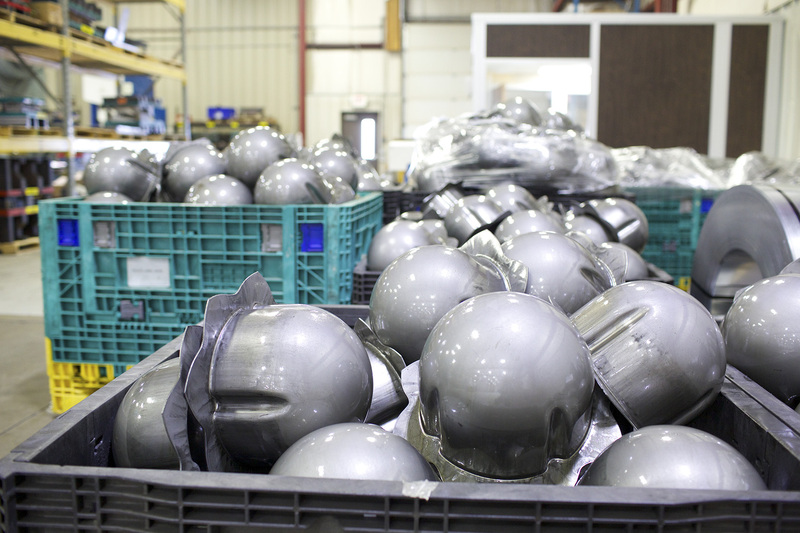 Out on the production floor, another key reason for the shop’s success stands at the center of the operation. Back in 2002, according to Melang, the company formed a working relationship with The Heim Group (Chicago, Illinois), buying their first Heim press. Today, there is an 80-ton Heim OBS with 5000 lb. feed line, plus a 500-ton Heim Maxi-Stamper with 10,000 lb. feed and a 600-ton Heim Maxi-Stamper with 20,000 lb. feed. Complementing this equipment is a full resistance welding, heat treating and assembly cell operation. Ultratech also supplies its customers a range of finishing and part coating options to facilitate ready-to-assemble requirements. Heim President Katie Heim further comments, “Our relationship with Ultratech has benefited both our companies, over the years. As our industry knows, the die dictates the press and we’ve worked closely with Bill and his team, as this particular customer’s knowledge of die design and performance characteristics in the press has created a real synergy with our engineers, who bring decades of press design and die handling mechanics to the task. The fact that Ultratech also has some of the nicest people in the industry, starting with Bill, is the icing on the cake, so to speak,” Katie remarks. This American-made press builder, Katie notes, is quite often asked for a turnkey system of press, die and coil handling equipment, including complex die and part handling mechanisms, in a single package. She observes, “The knowledge we’ve shared with and acquired from Ultratech has made us both stronger players in the market today.” She added that the decline in the workforce numbers and equipment manufacturers based in America has created the need for companies such as Heim to be more pro-active in the turnkey area, as customers today seek this assistance on a much more frequent basis than previously occurred. Katie Heim is third generation owner of the business, which has built presses in Chicago for nearly 70 years and today boasts over 55,000 machines in the global stamping market. 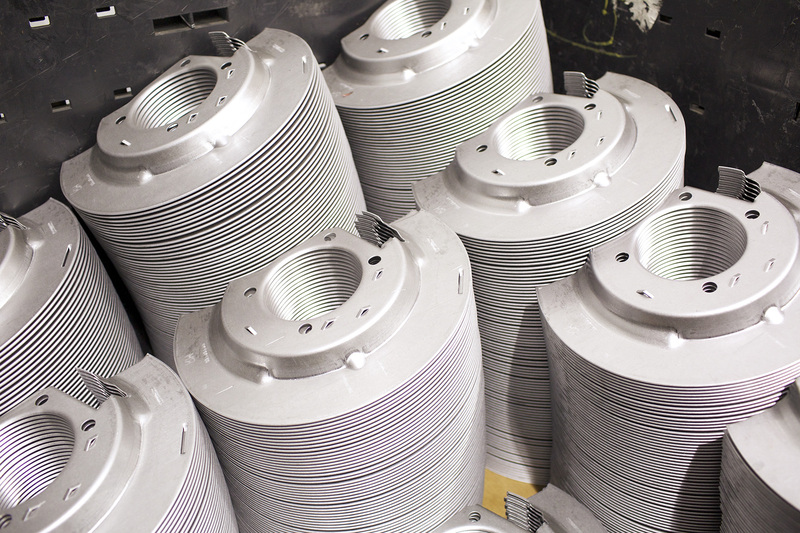 Heim produces presses to 1000 tons and also supplies coil handling, part transfer mechanisms and complete die systems in turnkey packages for customers worldwide. Ultratech is an ISO 9001:2008 certified supplier and is currently advancing to the TS automotive specification that will enhance the company’s involvement as a supplier to that industry. The shop employs 25 people, including the next generation, as Bill Melang’s son is in the business and has recently completed a plant expansion of 30,000 square feet. 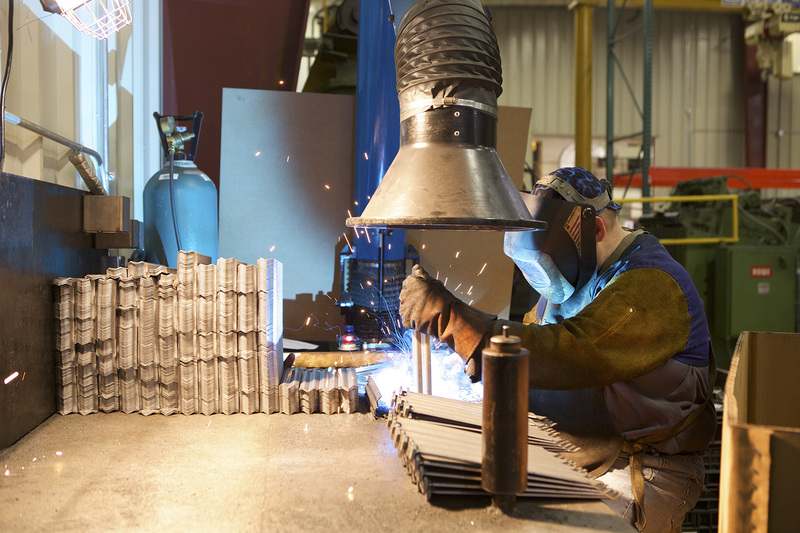 The HEIM Group has been designing and manufacturing presses for over 65 years. 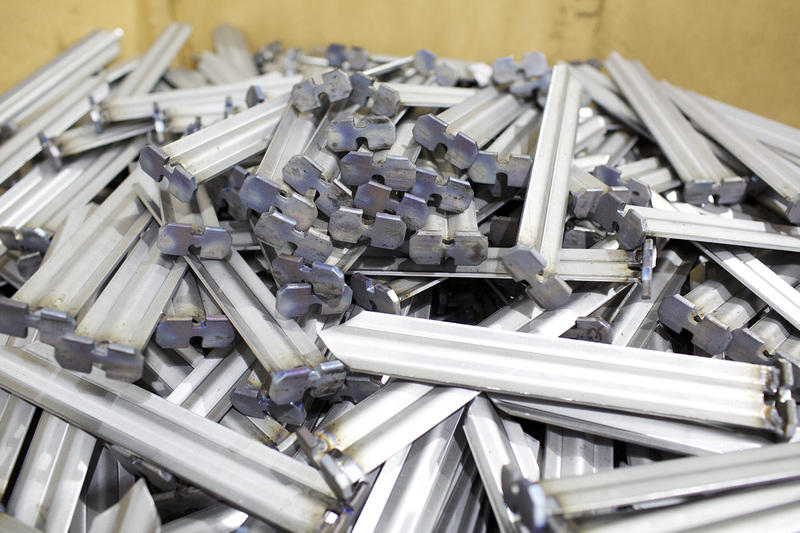 The company’s HEIM and ROUSSELLE press brands are known worldwide for their quality construction and performance. Built in the Chicago factory, using American-made components, whenever possible, the presses have a reputation for dependable operation, competitive price and superior support from dealers and inside staff. Each Maxi Stamper (as shown in photos) straight side press is engineered with the latest CAD technology and built by experienced craftsmen. Every aspect of the machine is manufactured with high-performance, unmatched accuracy and years of reliable use in operation. This series of eccentric-geared tie rod straight side presses is available in the 300 to 1000-ton range. Users select the stroke, speed, shut height and bed area. Standard drive rating is .500” above bottom stroke, but other options are available to meet all applications and energy requirements. Likewise, customers may select a more rigid frame deflection from the standard .002”/ft. Please see our website for details. Smaller press requirements are served by our Maxi Stamper II series of C-frame, front-to-back shaft designed presses in the 90 to 300-ton range. Built with the same heavy-duty standard designs, these presses have similar features and performance to our straight side presses. Maxi Stamper II presses are also offered in a solid frame design for applications sensitive to frame deflection. In the Heim booth, a before/after remanufactured press and a battery of other services will be displayed. 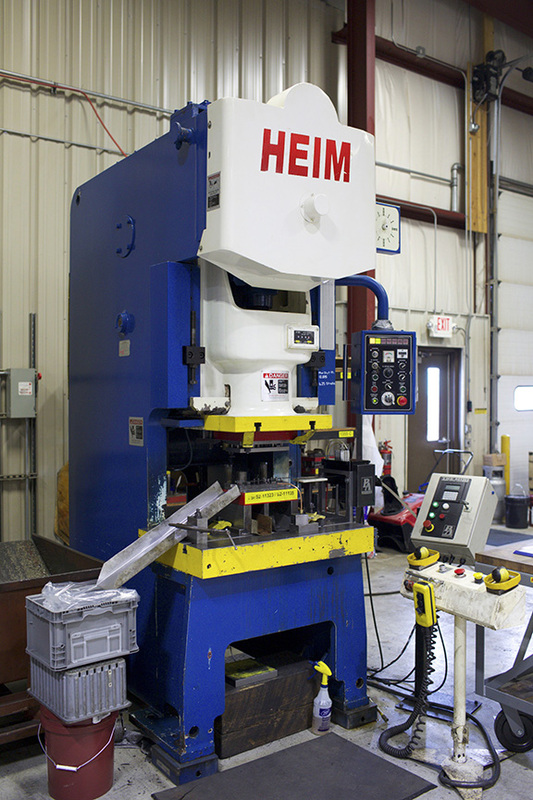 Heim maintains a considerable inventory of remanufactured presses, plus offers the capability to retrofit or rebuild any Heim, Rousselle or select other brand of presses in the market. Booth personnel will include company President Katie Heim and other executive team members, as well as technical and sales personnel. Click to see the presses in action!